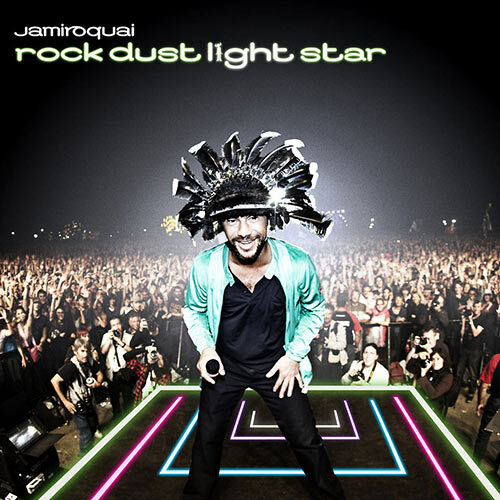 If your booty is still shaking, then you've obviously carried on the Jamiroquai band-jam with a copy of Rock Dust Light Star, Jamiroquai's 2010 global chart-topper. The band go right back to their debut album roots, but throw in a few fresh twists with 'White Knuckle Ride', the lead hit single, and the lovely 'Blue Skies'. Recorded in the UK and Thailand, this album also led to yet another sell-out world tour that brought the band playing live in as far-away places as Russia, Columbia and Brazil. Not bad for a band embracing two solid gold decades. So, what could be next?